Affordable Pest Control offers free estimates on all of its services. Together with you, we will determine which services fit your needs. When you contact us for estimates, we will provide you with a honest quote. Our goal is to help you affordably and effectively eliminate pests from your property, so you can live and work in a bug-free, clean, and safe environment. 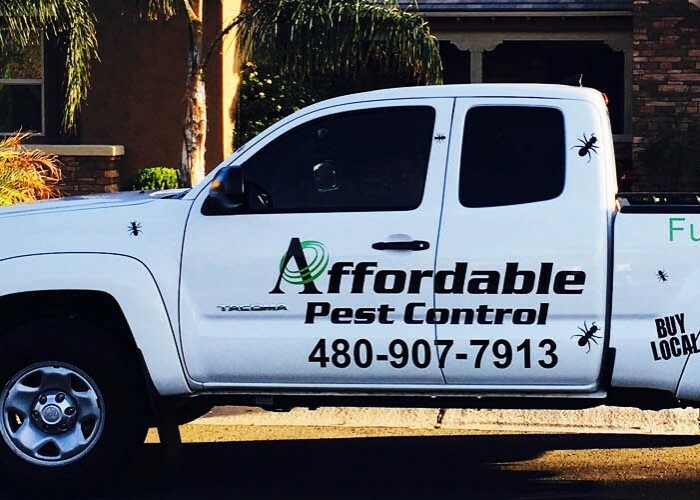 For quality, affordable, and reliable pest management services, choose Affordable Pest Control, serving San Tan Valley, Queen Creek, Apache Junction, Gilbert, Chandler, Tempe, Mesa, Phoenix and other surrounding areas. Our team has provided pest control services to customers across the East Valley since 2013. We are committed to customer satisfaction and provide a range of pest control services to control scorpions, cockroaches, ants, bees, wasps, centipedes, millipedes, earwigs, spiders, black widows, cockroaches and more. Our company is fully licensed and insured and offers customers same day, one-time, and monthly or bi-monthly service agreements.